Lanín is a large, conical and active (but at present dormant) stratovolcano on the Chile-Argentina border, located approximately 45 km southeast of Villarrica volcano. The volcano is mostly basaltic and andesitic in composition and many eruptions came from flank vents. The most recent eruption took place about 2200 years ago and produced a small lava dome at the summit and a block lava flow to the north. Increased seismic activity triggered SERNAGEOMIN to raise the alert status of the volcano to yellow. Starting 15 February, a significant number of earthquakes occurred under the volcano, both including volcano-tectonic quakes, indicators of internal rock fracturing often caused by intruding fluids (e.g. magma), and long period quakes, thought to be caused by internal fluid movements. Whether or not these are signs of possible new eruptive activity under the volcano in the medium to long-term future (several months to years to decades) is matter of speculation. Lanin stratovolcano, located on the Chile-Argentina border about 150 km east-northeast of Valdivia (Chile), has no known historic eruptive activity. 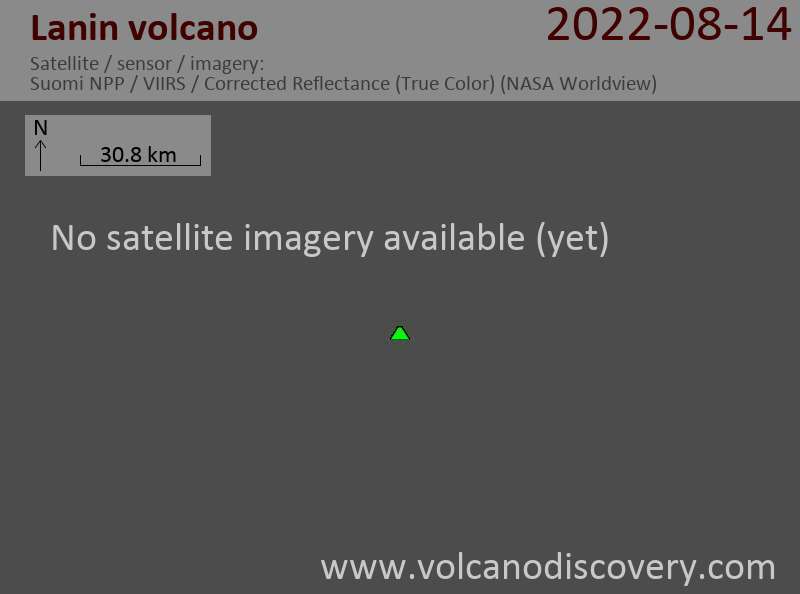 However, it is considered active; based on geologic studies, it is thought to have had its last eruption only about 1500 years ago, producing a cinder cone and a lava flow from a flank vent on the south-west slope.